I had one of those moments recently. You know what I'm talking about. I looked at my kids and found myself in shock at how fast they've grown. We don't have much time left with them before they're grown up and gone! Our oldest son is finishing up his freshman year at College, and the other two aren't too far behind. It makes me kinda angry. Angry because thanks to the social media that we're all addicted to, we hardly spend quality time together anymore. We might sit in the same room together, but we each have our noses in our cell phones texting, playing games or scrolling through our news feeds. Talking? Not much. When the kids were little, we did everything together. Now, we're lucky if we have one meaningful conversation a day. my kids are worth it so we're trying again...setting aside one night a week where we all shut off our devices, sit around the table together, play games...and talk...and laugh. We all love Hasbro® games and Monopoly® is Little DIY's personal favorite, so that was a given, and we haven't played Jenga® in awhile so I put that on the list. While I was thinking about the evening, I decided to create some fun snacks that went along with the games. 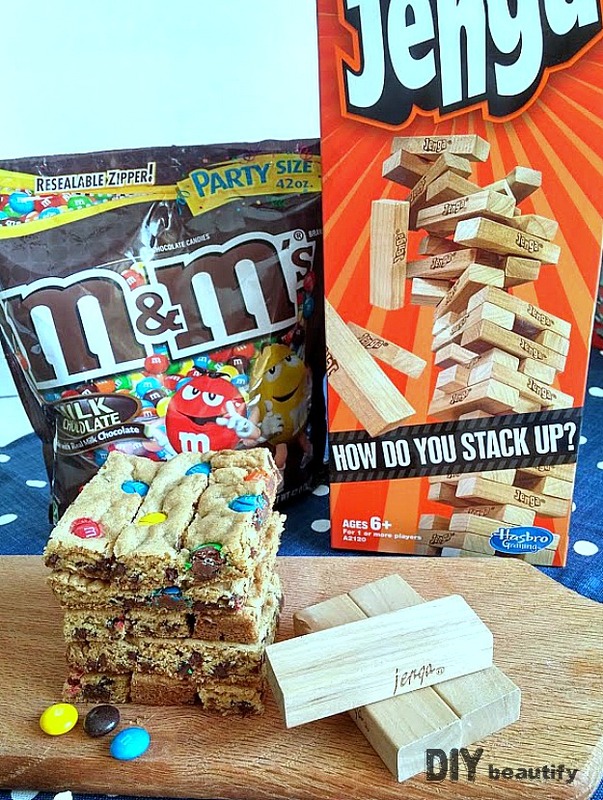 M&Ms® are our guilty pleasure, so I incorporated them into my Jenga Cookie Sticks as well as the Pennybag's Popcorn mix. First I headed to Walmart to pick up some new games and the ingredients for my snacks. Why not take a fun selfie while I was shopping! 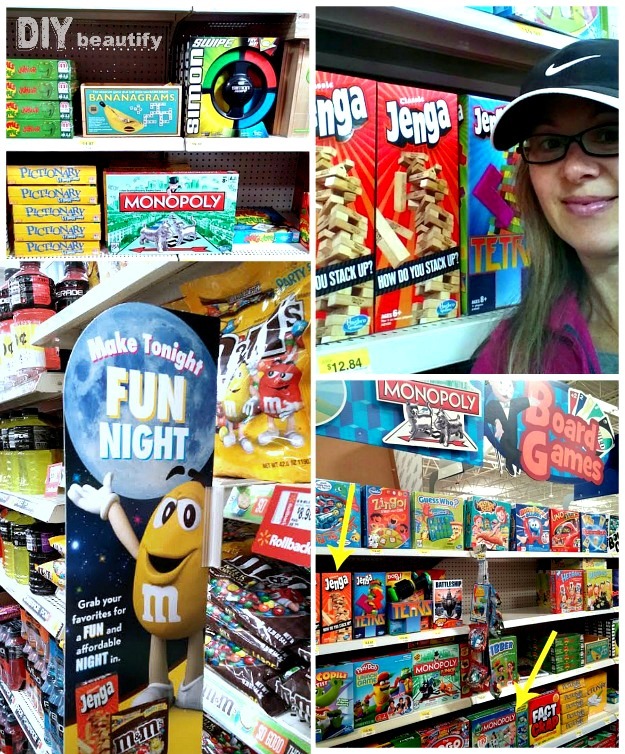 The games can be found in the Toy aisles at Walmart, and the M&Ms are with the candy. The Pennybag's Popcorn sacks were a cinch to put together. I found some images of Rich Uncle Pennybags online and printed them out. Using scrapbook paper that I had, I glued the images onto simple brown paper lunch sacks. To take it a step further, I painted 'Pennybag's Popcorn' on the sacks, using gold acrylic paint for the word 'Pennybags'. The kids might be getting older, but everyone enjoys a bag filled with some of their favorite treats. 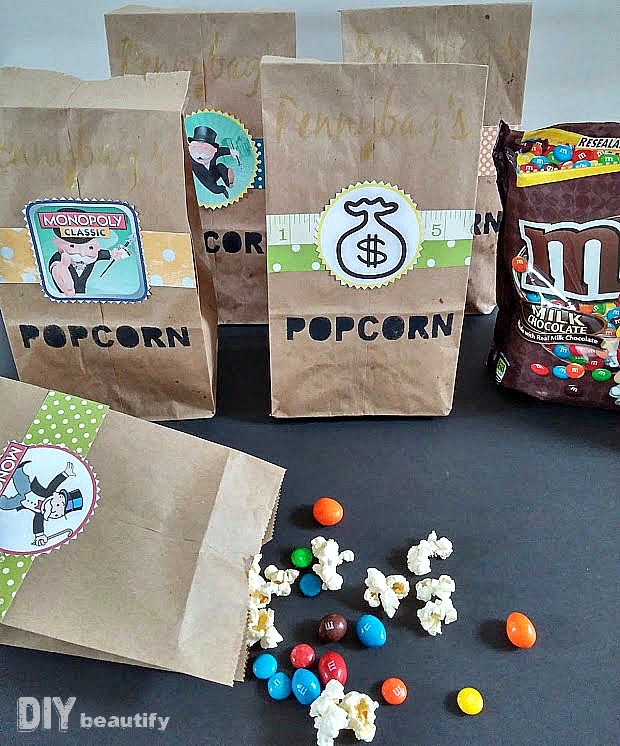 We loaded our sacks up with popcorn and everyone added their favorite M&Ms to their bag, because while popcorn is good, popcorn with M&Ms is AWEsome! You can grab a coupon here. 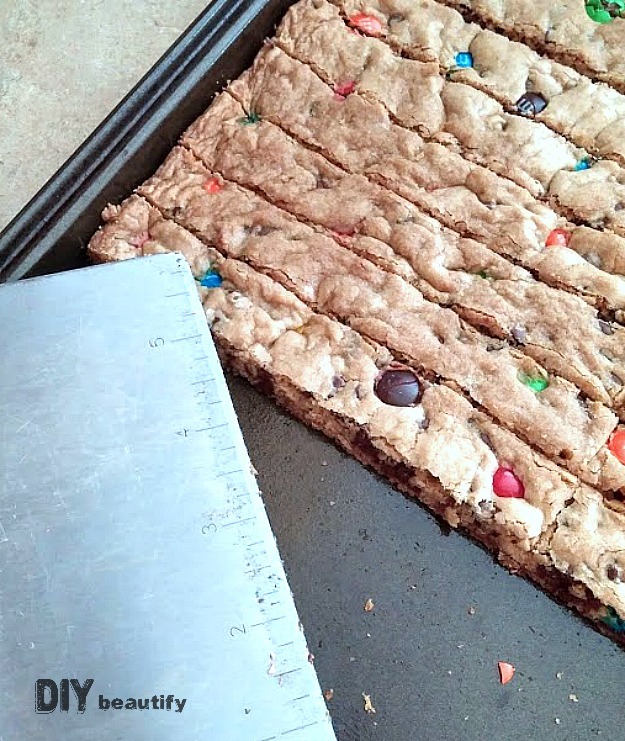 To make the Jenga Cookie Sticks, I mixed up a batch of my favorite chocolate chip cookie dough. After oiling a cookie sheet, I spread the cookie dough out (tip: use Pam or Crisco spray on your hands or kitchen tool to make this easier). 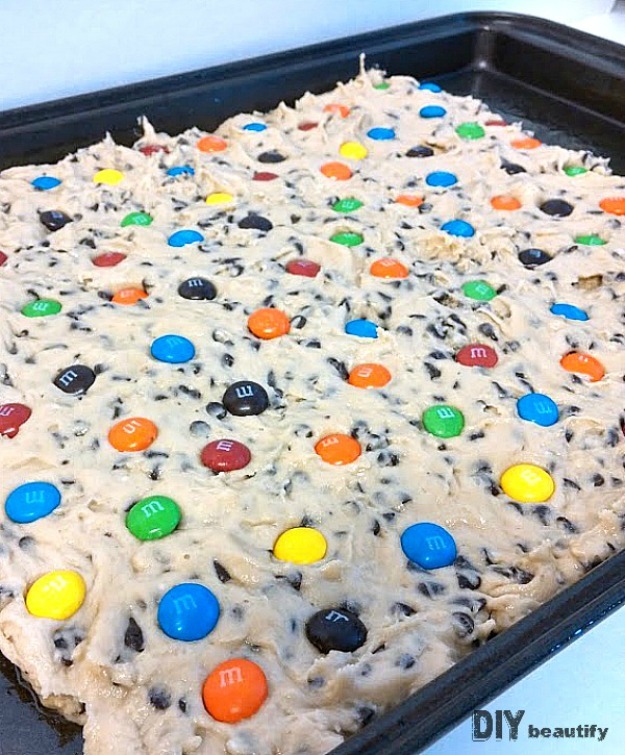 Then I pressed chocolate M&Ms into the cookie dough, pressing each one down a little. Once they had baked and cooled, I cut them into Jenga-sized sticks. We could almost play Jenga with these cookie sticks...except I think my family would agree that eating cookies is much more satisfying than playing with them!! Spending time around the table talking, laughing playing games and just being together, was so much fun! The devices were put away which meant we were actually maintaining eye contact for longer than 10 seconds! It was a tight race in the Monopoly match...I wasn't even in the running...strategy stumps me!! I know my kids enjoyed being together, and the tasty themed snacks made the evening extra special! Tip: when playing Jenga, it's a good idea to have a tablecloth on the table....it's a little less noisy when the tower comes tumbling down! I jump every time! 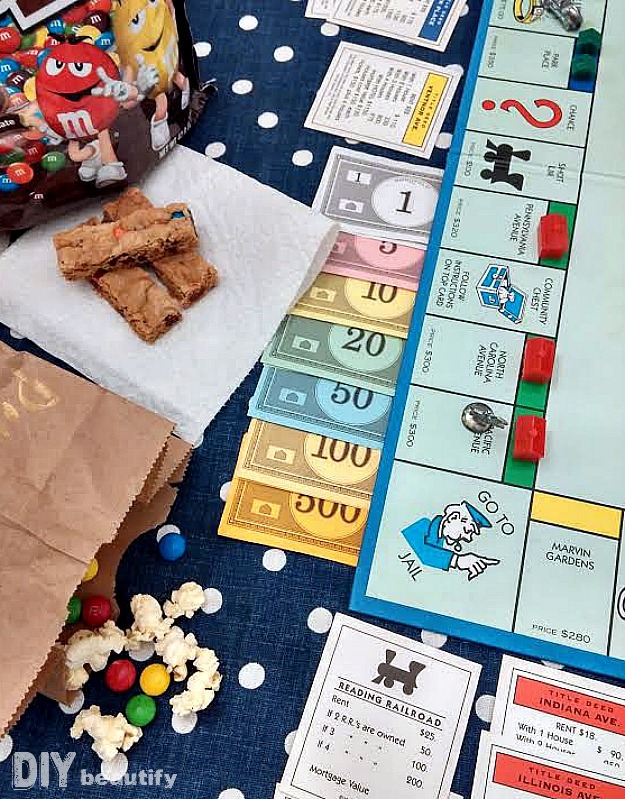 Playing board games as a family is a fading pastime, thanks to video games, Netflix and other good but time-sucking entertainment. We only have our kids for a short time. I encourage you not to let another day go by before planning your own Fun Family Game Night with your own kids. 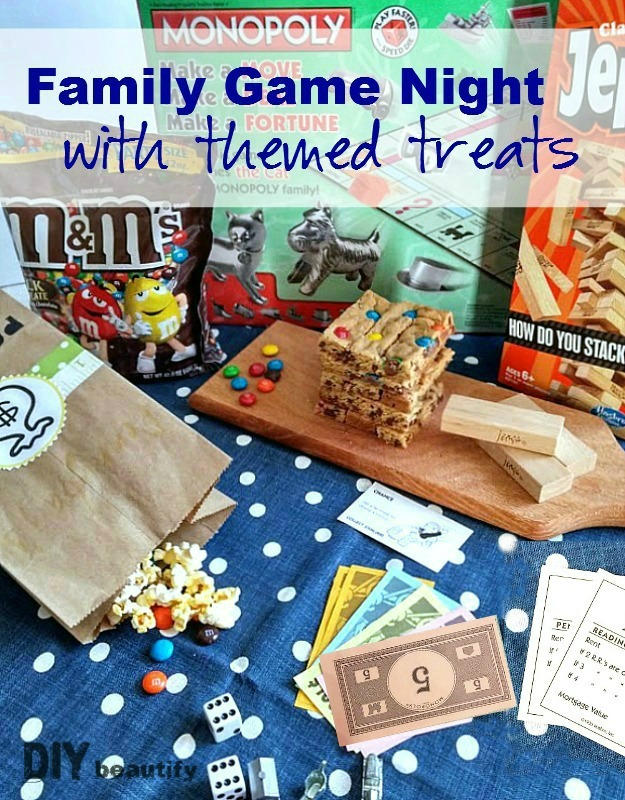 Create a theme around the games you love, plan some fun, simple snacks and take one evening a week to be together. Feel free to copy my ideas in planning your own family time if it will make it easier. You can find more delicious recipes and ideas for game night here. I'd love to hear your favorite! You'll be building priceless memories that will last forever!! True...one has to be creative in finding ways where family can spend time together definitely...and that time must switch off our gazets like phone and computer, tv off for sure... just sit together to have nice family time.